The tattoo seems to be a tribute to Icarus. It is a full set of angel’s wings on a Skydiver’s back. 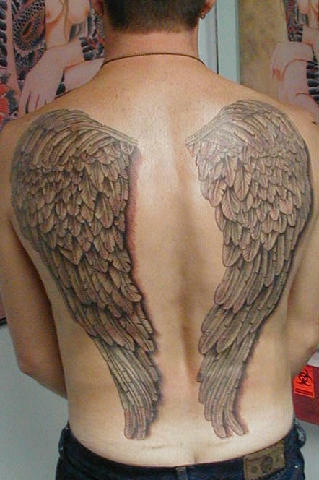 His work really require him to have wings god does not give that to man so tattoo is the best option to go in for. Tattoo artist Krystof (1970) inks this great piece. Krystof does not have any specific taste regarding any tattoo style rather he enjoys his work. He started tattooing around seven years back.